The ancient capital city of the Lycian Federation was Xanthos, now in modern day Turkey. The Nereid Monument was built for the Lycian ruler Erbinna with its name deriving from the sea nymph (Nereids) statues placed between the columns of the tomb. 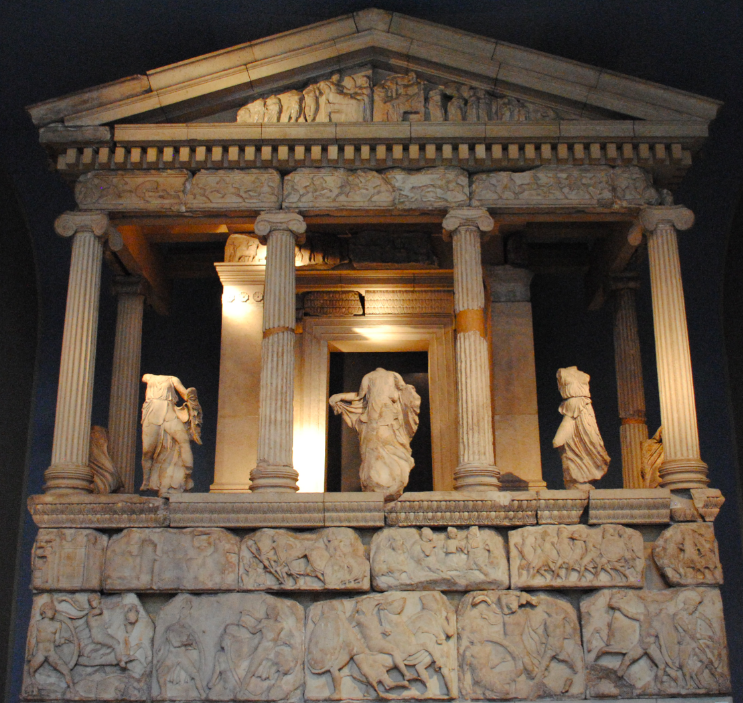 The reconstructed small Ionic temple dates to circa 400BC with the facade on display in the British Museum in London. A mixture of Greek and Lycian style and iconography, the monument features relief sculptures and friezes with a decorated architrave and pediment.